This week's roundup covers play from the period of December 22-28. For the full list of Red Sox prospects participating in off-season action, check out our Fall and Winter Leagues page, which will be updated continuously through the end of the offseason. Due to the Christmas holiday, many leagues had shortened weeks, including in Puerto Rico. 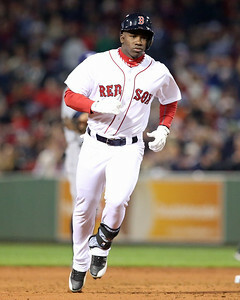 Rusney Castillo (pictured) appeared in his final game of the winter on Monday, going out on a high note by going 2 for 3 with two doubles, three RBI and a walk. Over 37 at-bats, Castillo's line finished up at .405/.415/.541, and he drew raves from manager Alex Cora. The busiest participant this week was Christian Vazquez, who saw action in six games and finished 6 for 20. He had his best game of the week on Monday, going 2 for 5 with his first home run of the winter. Henry Ramos saw limited action, going 0 for 3 in his only game. Joseph Monge saw his first action since December 19 and went 1 for 3 with a pair of strikeouts, the hit his first of the winter in 12 at-bats. Finally, Jemile Weeks made his late debut for Mayaguez on Saturday and went hitless in three at-bats with a walk and a strikeout. The league's final regular season games take place tomorrow. For reference, it is not uncommon for some major leaguers to report to their winter league teams just before or just during the playoffs, which can run through the end of January and are followed by the Caribbean Series, which features the league champions from Puerto Rico, the Dominican Republic, Venezuela, and Mexico. It has been an eventful offseason for former Red Sox minor leaguers. The team reunited with former top prospects Hanley Ramirez and Justin Masterson, while longtime ace Jon Lester's huge contract to take over at the front of the Chicago Cubs rotation ended hopes of a similar reunion after his midseason trade to Oakland. While this trio represent examples of major successes in player development, it is also both useful and necessary to take a step back and examine when things do not go as planned. Such is the case with third baseman Will Middlebrooks, dealt to the Padres last week in exchange for catcher (and Andover (Mass.) High School product) Ryan Hanigan. Middlebrooks, then ranked by this site as the top prospect in the system, took Boston by storm in 2012. 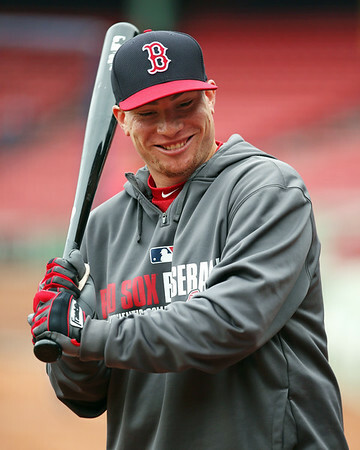 Stepping in for an injured Kevin Youkilis, Middlebrooks hit a grand slam in his third major league game, two more home runs in his fourth, and 10 bombs to go with a .558 slugging percentage through his first 46 games over 178 plate appearances. 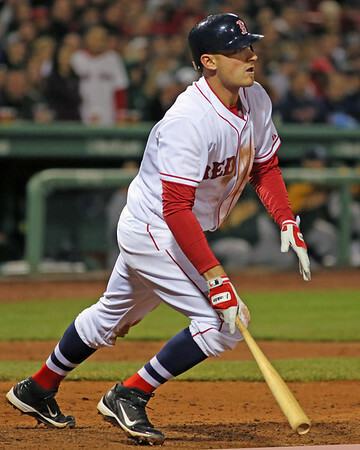 But that early breakthrough turned out to be the height of Middlebrooks's time with the Red Sox. He missed the last two months of the 2012 season with a fractured wrist, and injuries and ineffectiveness at the plate marred his last two seasons. This week's roundup covers play from the period of December 15-21. For the full list of Red Sox prospects participating in off-season action, check out our Fall and Winter Leagues page, which will be updated continuously through the end of the offseason. The strong performance of Christian Vazquez (pictured) at the plate has been one of the biggest positives in the Red Sox organization this winter. The 24-year-old catcher saw his six-game hitting streak come to an end on Sunday, but still had another productive week overall. In four games, Vazquez was 7 for 17, including a dominant game Saturday in which he went 3 for 4 with two doubles, two runs scored, and a rare stolen base. His season line stands at .294/.371/.365. The Red Sox have announced an exchange of right-handed relievers with the Atlanta Braves. Boston will receive major league veteran Anthony Varvaro, with Aaron Kurcz (pictured) headed to Atlanta. 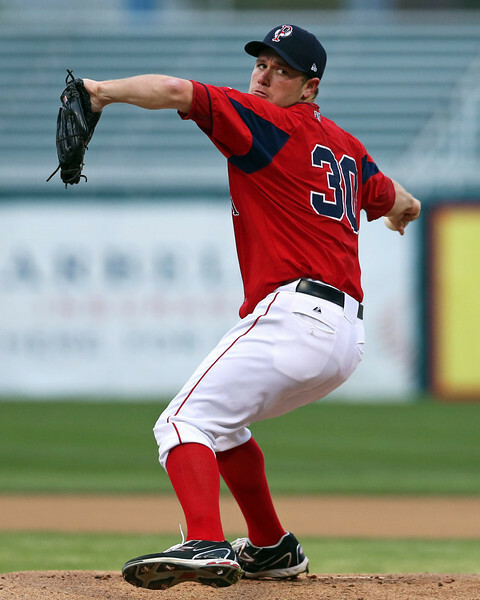 Kurcz, 24, originally came to the Red Sox organization in March 2012 as part of the compensation package from the Chicago Cubs in exchange for Theo Epstein. He impressed in an assignment to Double-A Portland, striking out 72 in 50 1/3 innings. However, an elbow injury suffered in July of that year required Tommy John surgery, and an extended rehab kept Kurcz off the field throughout the 2013 campaign. He returned to Portland in 2014, and again pitched well, posting a 2.14 ERA an 52 strikeouts in 42 innings across 34 appearances. 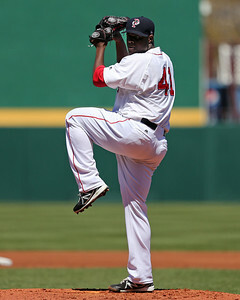 In a trade that took a couple days to complete, the Red Sox sent Rubby De La Rosa (pictured), Allen Webster, and Raymel Flores to the Arizona Diamondbacks in exchange for Wade Miley. SoxProspects.com Director of Scouting Ian Cundall and Assistant Director of Scouting Chaz Fiorino teamed up to analyze all four players in the trade, with Fiorino offering a detailed report on Miley for the fans who are unfamiliar with him. In a separate trade with the Diamondbacks, the Red Sox acquired Zeke Spruill for Myles Smith. Spruill was one of the players the Braves traded to Arizona for Justin Upton, but he was designated for assignment by the Diamondbacks on December 8. 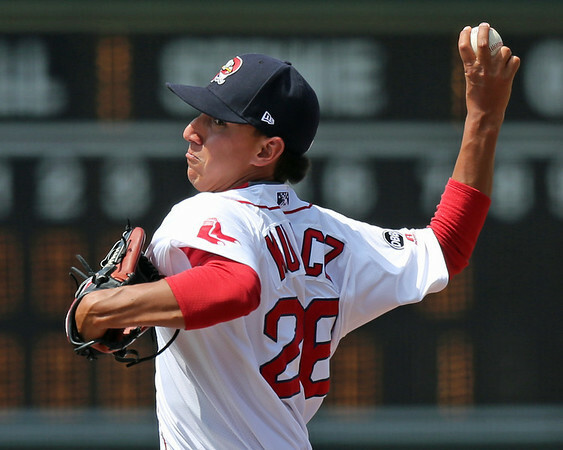 The right-hander still has one option left, so he may see time in Pawtucket in 2015. The Red Sox have acquired shortstop Marco Hernandez from the Chicago Cubs. Hernandez heads to Boston as the player to be named later in the deal that sent left-handed pitcher Felix Doubront to Chicago in July. The news was first reported by Tim Britton of the Providence Journal. Originally signed out of the Dominican Republic in 2009, the 6-foot, 170-pound Hernandez made an impression in his first appearance stateside in 2011. 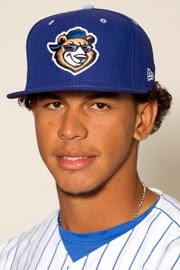 As an 18-year-old for the Cubs Arizona Rookie League affiliate, Hernandez opened some eyes with a .333/.375/.486 and defensive skills that scouts saw as likely to stick on the left side of the diamond. Baseball America rated him the #6 prospect in the circuit and #16 in the Cubs system, saying "he has enough bat speed and strength for gap power and the plus speed to beat out bunts." Well, that was a week wasn't it? With the Red Sox trading Allen Webster, Rubby De La Rosa, Raymel Flores, Yoenis Cespedes, Alex Wilson, Gabe Speier, and Myles Smith in deals for Wade Miley, Rick Porcello, and Zeke Spruill, as well as signing former SoxProspects.com number 1 prospect Justin Masterson (oh, and there was the failed pursuit of Jon Lester), Chris and Matt had plenty to talk about. Plus, your emails asked about who will lead off and about the defensive prowess of Christian Vazquez and Blake Swihart. And by the way, please take our one-minute survey at http://bit.ly/SPPodSurvey! This week's roundup covers play from the period of December 8-14. For the full list of Red Sox prospects participating in off-season action, check out our Fall and Winter Leagues page, which will be updated continuously through the end of the offseason. 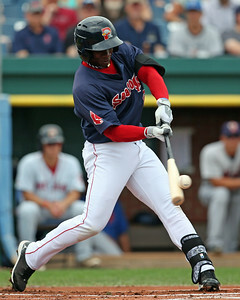 In his first game of the week on Wednesday, Rusney Castillo went 3 for 5 with a home run and three RBI against Mayaguez. Castillo proceeded to go 1 for 9 with a run scored in his final three contest of the week. In seven games for Caguas, Castillo is batting .320/.333/.440. Joseph Monge continues to see very limited action, appearing in just one game this week, going 0 for 3. Fellow outfielder Henry Ramos went 3 for 14 with an RBI in four contests this week. 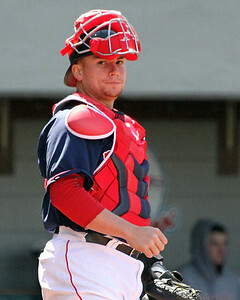 Christian Vazquez (pictured, above) made his way into five games this week, going 6 for 20 with a double and four RBI. On the mound, Dayan Diaz made his way into three games, pitching an inning of scoreless relief in each of his appearances. 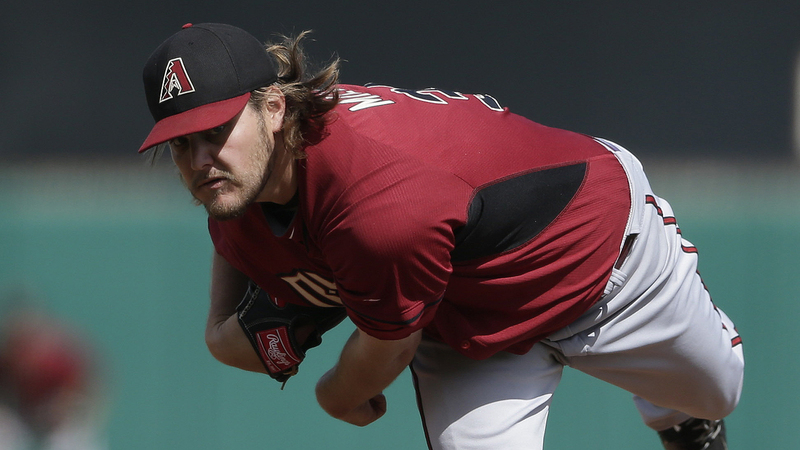 As first reported Wednesday night and made official on Friday, the Red Sox have acquired left-handed pitcher Wade Miley from the Arizona Diamondbacks, with right-handed pitchers Rubby De La Rosa and Allen Webster and infielder Raymel Flores headed to Arizona in the deal. The Red Sox dealt from a position of depth, as they have a plethora of right-handed pitching in the upper minors and middle infield prospects in the low minors. For Arizona, it reunites De La Rosa and Webster with De Jon Watson, senior vice president of baseball operations with the Diamondbacks and the director of player development with the Dodgers while the two pitchers were members of that franchise. - Miley was a supplemental first-round pick by the Diamondbacks in the 2008 draft. The lefty starter will be entering his age-28 season with three years of remaining control through arbitration. Miley is listed at 6-feet, 220 pounds and has a filled-out frame with a durable and strong upper and lower half. I've seen Miley pitch live on numerous occasions, and the first thing that stands out is his fast tempo on the mound. Miley wastes no time between pitches and likes to work extremely quickly. He keeps hitters guessing and off-balance with little time to think between pitches. In turn, he keeps his own defense engaged and active. Immediately after announcing the completion of their trade for Wade Miley, the Red Sox announced a second trade with the Arizona Diamondbacks on Friday, acquiring right-hander Zeke Spruill in exchange for right-hander Myles Smith. Spruill, who was drafted by the Atlanta Braves in the second round of the 2008 draft, spent most of last season with the Diamondbacks’ Triple-A affiliate in Reno, making 28 appearances. He posted a 6.04 ERA in 79 innings pitched, working predominantly out of the bullpen. After signing with the Red Sox to a one-year deal worth $9.5 million, with incentives that can push it up to $12 million, Justin Masterson returns to the organization that drafted him and first brought him up to the big leagues. 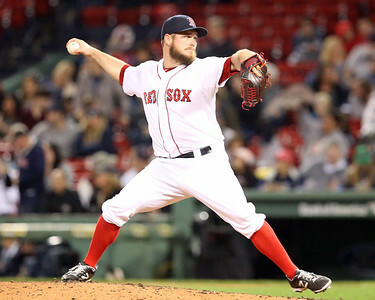 Masterson, who was the top-rated prospect on SoxProspects.com in June of 2008, has not had a linear career path after being one of the most aggressively promoted Red Sox prospects in recent memory. Similar to our pieces on Hanley Ramirez and Jon Lester, Masterson is the focus of our latest Player Retrospective. For another interesting read on Masterson's time in the system, read SoxProspects.com Editor-in-Chief Mike Andrews interview with Masterson from July 2007. As reported this morning, the Red Sox have acquired right-handed pitcher Rick Porcello from the Detroit Tigers. Outfielder Yoenis Cespedes, right-handed pitcher Alex Wilson and left-handed pitcher Gabe Speier are headed to the Tigers in return. In dealing Cespedes, Wilson and Speier, the Red Sox took advantage of two of the deeper positions in their system, with a surplus of major league outfielders and pitching depth in the upper and lower minors, in order to trade up for proven major league-quality pitching. - Alex Wilson is well known at this point, having been in the system since being taken in the second round out of Texas A&M back in 2009. He has a sturdy pitcher’s frame, listed at 6-foot-1, 215 pounds, with a well-filled out lower half. He throws from a ¾ arm slot with effort in his delivery stemming from long arm action that includes a stab and arm loop. Wilson relies primarily on his fastball (both four-seam and sinker varieties) and his slider. His fastball sits in the 92-94 mph range generally, touching 95-96 mph on occasion, but is on the straight side. His sinker has slightly less velocity usually, sitting in the low-90s with late downward action. He has average-to-better command of the offering and solid control. Wilson’s best secondary pitch is his slider, primarily thrown in the 84-87 mph range. The pitch has tight rotation and depth that allows it to serve as a potential plus outpitch. Wilson has feel for the slider and the confidence to throw it in any count. In the higher end of velocity range, the pitch shortens up and looks more like a cutter. On those occasions, he’ll throw it in the high-80s with short, horizontal movement. Wilson’s final pitch is an 86-88 mph changeup that he throws sparingly. The pitch is below-average as it lacks velocity separation from his fastball as well as movement. Capping off an eventful morning, the Houston Astros selected right-hander Jason Garcia from the Red Sox with the fourth pick of the Rule 5 draft, then trading him to the Baltimore Orioles for a player to be named or cash. The Red Sox selected Jandel Gustave from the Astros with the sixth pick, but reports are that he will be flipped to the Kansas City Royals for cash considerations. Garcia, currently ranked as the 36th best propsect in the system, has seen his stock rise in recent months after reports came out in the fall that he was hitting 100 and sitting in the high 90s with his fastball. The 22-year-old underwent Tommy John surgery in 2013, and came back to throw 56 1/3 innings in 2014 between Lowell and Greenville, with an ERA of 3.67. He appeared in his first game on June 13, and after shaking off some rust, he ended the season on a tear for Greenville, going 2-0 with a 2.17 ERA over his last 29 innings for the Drive, striking out 32. The Red Sox have reportedly traded outfielder Yoenis Cespedes, reliever Alex Wilson (pictured), and left-hander Gabe Speier to the Detroit Tigers in exchange for right-hander Rick Porcello. The deal was first reported by CJ Nitkowski of Fox Sports, and the inclusion of Wilson and Speier was first reported by WEEI.com's Alex Speier. 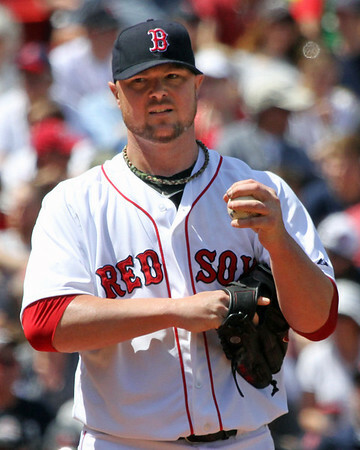 When SoxProspects.com got its start back in 2003, left-hander Jon Lester was a tantalizing but raw talent in Single-A. The site has followed him as he rose from a projectable arm to legitimate phenom prospect to recognized ace, and now, one of the highest paid players in baseball after signing a six-year, $155 million deal with the Chicago Cubs. Lester's time with Boston was eventful. On the field, he played key roles on two World Champions and made three All-Star teams. Off the field, he famously beat a rare form of non-Hodgkin's lymphoma. Twice the Washington native was almost traded in deals that would have brought superstar players to Boston, only to have those deals fall through. When the 30-year old was dealt to Oakland at the trade deadline, there was some belief that the departure could be temporary. However, it was not to be. With his time with the club officially coming to a close, we at SoxProspects.com decided to make Lester the subject of our latest Player Retrospective. As first reported by Fox Sports' Ken Rosenthal and Jon Morosi and since confirmed by multiple outlets the Red Sox have made their first move to help bolster their rotation, making an agreement in principle with the Arizona Diamondbacks that will bring 28-year-old left-hander Wade Miley to Boston in exchange for right-handers Rubby De La Rosa and Allen Webster, as well as another minor leaguer. At press time, the deal is not complete, with the identity of the minor leaguer still to be decided. Update, 12/12: The Red Sox officially announced the trade this evening, with Raymel Flores announced as the third player headed to Arizona. For more on the trade, see our Trade Analysis by Ian Cundall and Chaz Fiorino. This week's roundup covers play from the period of December 1-7. For the full list of Red Sox prospects participating in off-season action, check out our Fall and Winter Leagues page, which will be updated continuously through the end of the offseason. 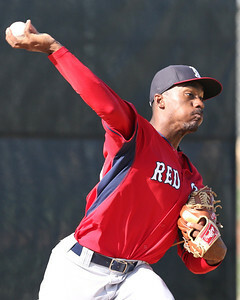 After missing six weeks with a thumb injury that occurred in the Arizona Fall League, Rusney Castillo (pictured) made his debut in Puerto Rico, going 4 for 11 with a walk. His best game came on Thursday, when he laced three singles while adding a stolen base and scoring a run. His teammate in Puerto Rico, Henry Ramos, also had a solid week, going 4 for 9 with three walks, and he also reached base three times on Thursday. Christian Vazquez managed only one hit in his nine at-bats this week, and he did not get a chance to show off his arm, as nobody attempted to steal in his two games behind the plate. The Red Sox announced this afternoon that catcher/first baseman Ryan Lavarnway has been claimed off waivers by the Los Angeles Dodgers. Lavarnway had been designated for assignment on November 25 to make room on the 40-man roster for Pablo Sandoval. For a look back at Lavarnway's time with the Red Sox organization, be sure to check out Will Woodward's retrospective from last month. 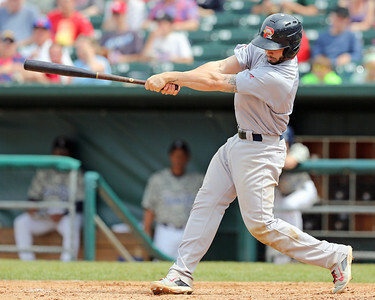 This month we wrapped up the Top 40 in Review series, which culminated with a feature on the top prospect in the system, catcher Blake Swihart (pictured, right). Due to all the young talent making its way to the majors this year, we expanded the series to cover Graduates in Review, featuring Xander Bogaerts, Mookie Betts, Christian Vazquez, Allen Webster, Brandon Workman and Jackie Bradley Jr. Find all of those write-ups, loaded with season summaries and scouting reports, though this link. The SoxProspects.com staff were not the only ones pouring over rankings. Alex Speier wrote Baseball America's Red Sox Top 10 rankings earlier this month. He then came on the podcast to discuss those rankings. Baseball Prospectus also released its Red Sox Top 10 rankings this week, and one of the heads of their prospect team, former SoxProspects.com Director of Scouting Chris Mellen, joined the podcast to dig a bit deeper. Within a week of the major league club making a pair of huge signings in Pablo Sandoval and Hanley Ramirez, Baseball Prospectus has dropped its Red Sox Top 10 prospects list (subscription req'd), which means one thing... the return of Chris Mellen to the podcast! Hatfield, Matt, and Ian welcomed back the Dean of #diesel, now one of the men in charge of the BP prospect team, to discuss BP's list and the state of the farm. This week's roundup covers play from the period of November 24-30. For the full list of Red Sox prospects participating in off-season action, check out our Fall and Winter Leagues page, which will be updated continuously through the end of the off-season. On Saturday, Edwin Escobar threw an inning with two strikeouts without allowing a baserunner as Lara cruised to an easy victory. Aneury Tavarez (pictured) continued his impressive run for Estrellas this week, going 5 for 9 with three walks, two triples, a double and three stolen bases. Tavarez's overall line now stands at a white hot .396/.455/.542 with five steals over 48 at-bats. 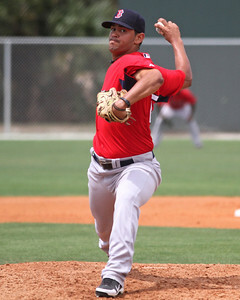 Heri Quevedo's struggles continued as he took the loss in his only appearance this week, allowing two hits (one by former Red Sox Manny Ramirez) and two earned runs without retiring a batter. Juan Francisco was designated for assignment when the Hanley Ramirez signing was made official, but we'll update here on the chance he stays with the organization. He had a solid week at the plate for Licey, finishing 4 for 11 with a double, three walks and four strikeouts.